The Texas Music Legend visited KXT Studios to perform songs off of his album "The Crossing." While he was in the studio, he talked about punk rock's early days, dealing with discrimination and his eternal search for the heart of rock-n-roll. Alejandro Escovedo has had a long career in the Texas music scene. His work has traversed genres from punk rock to Latino music and Americana. And throughout his career the 68-year-old, Mexican American singer-songwriter has used his music to speak out about politics and societal issues. His latest album "The Crossing" continues the tradition with songs about the migrant experience and border politics. Want to listen to songs off of Alejandro Escovedo’s “The Crossing?” He performed in the studio at KXT 91.7 FM. And you see the performances here. Escovedo recently dropped by our sister station, KXT 91.7 FM, to perform a few tracks. While he was in the building, he chatted with KXT’s Dave Emmert. The two discussed punk rock’s early days, the discrimination Escovedo dealt with as a Latino and so much more. Check out highlights from the interview in the text below or by listening to the feature in the audio player above. 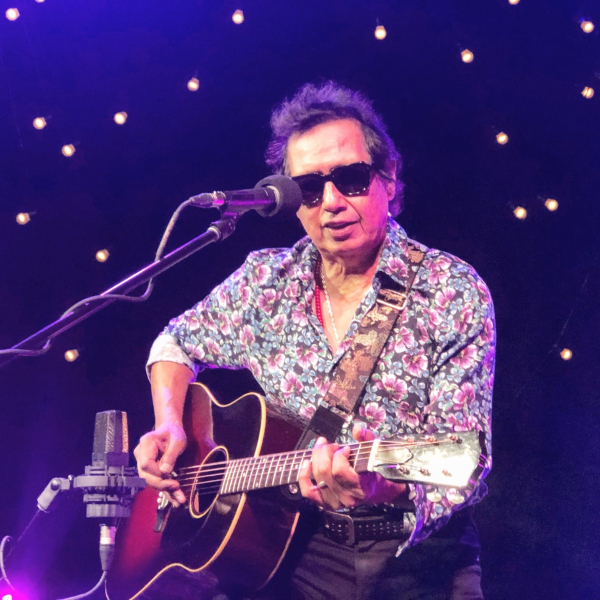 Alejandro Escovedo’s trailblazing career began in 1975. He started out as a member of two pioneering punk rock groups: The Nuns and Rank and File. And Escovedo says the beginning was largely positive. But outside that scene, where mainstream rock-n-roll lived, well, Escovedo says that world wasn’t nearly as inviting. Regardless, Escovedo pushed through. And he pushed himself musically. “The Crossing” is his 16th solo record. It’s a concept album that centers on two teenage migrants and their search for the America they’ve heard about in songs and poetry. “These are kids who love punk rock. They love everything that led to punk rock. They also love beat poetry and free literature of the ’60s and they love the American directors of the ’70s,” Escovedo says. For the album, Escovedo and his collaborators drove across the state of Texas. 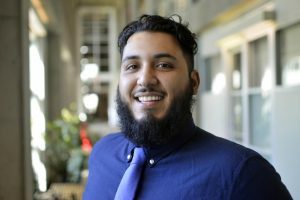 Along the way, they spoke with migrants about their experiences. And Escovedo, who’s also the son of immigrants, searched within himself to sprinkle personal references through his songs. The end result? A politically charged record that’s just as raucous as anything he made in punk rock’s early days. “The Crossing” isn’t an autobiography or a manifesto. It’s a cinematic and timely story that shines a light on race relations, idealism and representation. Issues the 68-year-old Escovedo has been singing about since he started out.